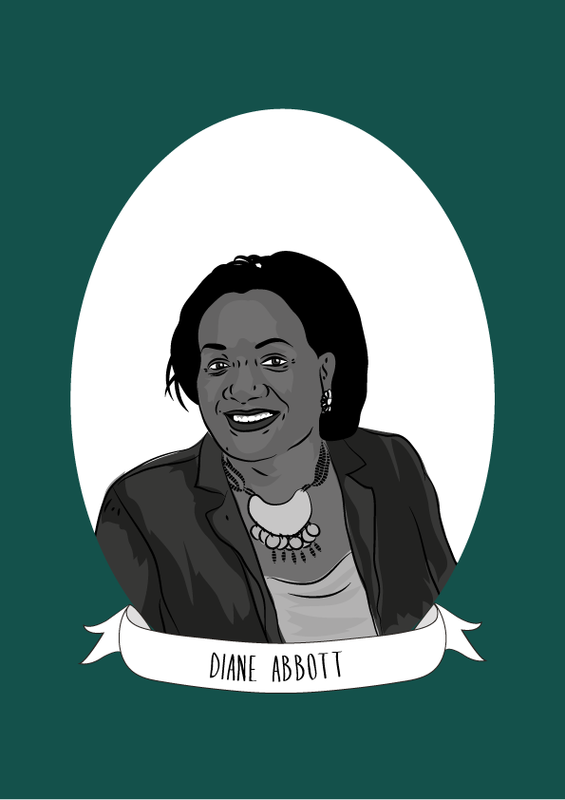 Diane Abbott was the first black woman ever elected to the British Parliament in 1987. She has since built a distinguished career as a Labour MP, broadcaster and commentator. Abbott was born in London in 1953. She attended the grammar school Harrow County and then went on to Newnham College Cambridge where she obtained a Masters degree in history. When she left Cambridge University Abbott joined Government as a Home Office Civil Servant. She went on to work for the lobby group the National Council for Civil Liberties, then she became a journalist. She worked extensively as a freelancer and she went on to work as a reporter for the breakfast television company TV-AM and Thames Television. And she also worked as a public relations consultant for various public sector clients. Abbott is founder of the London Schools and the Black Child initiative, which aims to raise educational achievement levels amongst Black children for which she was shortlisted for the Grassroot Diplomat Initiative Award in 2015. She hosts an annual conference for educators, children and their parents and an annual academic awards ceremony. In 2008 Abbott was awarded the Spectator/Threadneedle Speech of the Year Award and a Human Rights Award from Liberty for her speech on civil liberties, in the debate on the Counter-Terrorism Bill 2008. In May 2010 Abbott was re-elected in her constituency of Hackney North and Stoke Newington, and doubled her majority on an increased turn-out. In June 2010, she made the ballot for the Labour leadership contest and took part in the summer long campaign to elect the next Labour leader. Although she was unsuccessful, she was nonetheless propelled to the front benches first as Shadow Public Health Minister, and later as Shadow Home Secretary. Abbott is committed to fighting for human rights, and voted against the war on Iraq, against renewing Trident and has been vocal in her critisism of the continued support for Saudi Arabian-led military intervention in Yemen by the Conservative Government. In addition to this, she has set up a special parliamentary committee investigating gun crime and is a tireless ‘pro-choice’ supporter, opposing moves towards changing abortion counselling policy, and reducing the abortion time limit. In May 2015 she was re-elected in Hackney North and Stoke Newington with an improved majority of over 24,000 votes. Two years later, she increased her majority once again to 35,000 after receiving 75% of the vote in the June 2017 general election.